Holly Norton has represented South Africa at U18 level, Ohio State University for all 4 years of her time at the US university and is now a key asset in the Great Britain senior women’s squad. She won gold at the 2016 World Championships in the W4- and is now hoping to match that in Sarasota as part of the W8-. 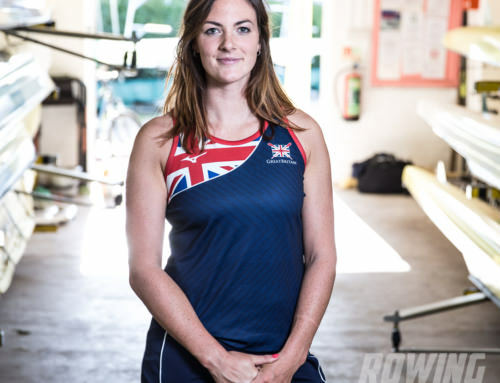 She has an impressive season behind her, including stroking the Leander crew to win at the Women’s Head of the River in March, a gold medal at World Cup 1 and a bronze at the European Championships with Karen Bennett in the W2-. What is the one fitness activity that you hate doing the most but yields the most results? The erg – without a doubt. At Ohio State we would erg for 5 months of the year waiting for the ice to thaw. What is your favorite non-training day meal? We’re quite lucky because we are burning a lot of calories, there’s really not that much that we can’t eat. It would probably be some sort of dessert – most likely cheesecake. If I opened your fridge right now, what would I see? So lots of vegetables, tons of Greek yogurt and fruit, milk, chicken or mince – I am pretty healthy really. I eat a lot of protein to build and repair muscle. But then obviously with rowing being an endurance sport, you need a sufficient amount of carbohydrates. I think it’s really important that we do have a balanced diet, because our body is often fatigued. If you get your nutrition wrong, not only will your performance suffer, but you’re likely to get ill or injured. And luckily, we have a really good nutritionist at British Rowing. Do you have any favorite hacks to maximize your sleep? I’m a huge sleeper so I will be in bed or itching to go to bed at 9:00. I actually start to stress a bit if it’s a weekday and it’s gone half past 9:00 and I’m not in bed, I start worrying. I usually wake up at about 6:30am so I get more than enough sleep. If training’s really difficult or for some reason I haven’t had a good sleep the night before I will grab a nap in the afternoon. They do have some beds at Caversham where we can go. What’s one bad habit you’re trying to get rid of? And what’s your approach to seeing change in this area? Chocolate probably, although I should probably start drinking less coffee, which will be quite hard. I started trying to drink decaf because I don’t feel I drink it because of the caffeine I drink it because I just really like the taste of it. What supplements can you not afford to live without? No. I think supplements are just in addition to when I can’t get enough in through a balanced meal, and I try and make sure that that’s the case. If I can’t get the raw food in, do that first. And if I can’t, then go to the supplement. So the supplement I probably take the most is protein powder. We have to be so careful. British Rowing have a partnership with MSC Nutrition so if we need supplements we use their as it’s batch tested products. The squad nutritionist is keen for us not rely on supplements. If you CAN get the raw food in, do that first. What’s the favourites tool, gadget, etc. that you purchased in the last 12 months? And especially when I’m on the erg, I’d never be on the erg without my heart rate monitor checking that I’m in the right zone. I feel like I’m in the dark if I’m training without it, because I want to know if my heart rate is in the right zone. What person of influence is Holly Norton closely following right now? Well, for me, the worst part of the race is when you’re in the starting block and the announcer is reminding you of how little time you have. When he says “Four minutes” and it’s just so silent – you just have people clearing their throat, I hate that. You’re just going through so much in your head, and often what I’m most scared of thinking is “How much pain am I going to have to put myself in to win this race?” – that’s quite daunting. So then I switch that around on myself and think of all the good training I’ve done, all the good pieces, and all the reasons I have to be confident. So I’ll be going through that and then I’ll just be thinking, “You’re strong, you are well-trained, and you have a plan.” And so I guess that is my ritual, just repeating that in my head, and then I often have to make sure my silver bangles are pushed down! What is your biggest challenge, and how are you managing this challenge? I think my biggest challenge this year was just getting used to a new country, a new immediate support system. My family live in South Africa and last year I completed my studies at Ohio State University in the USA so it was another big change to move to Henley and start rowing at Leander. I was on the Ohio State training program for four years and the team was incredibly successful. I was lucky that I was there at such an exciting time for the program. I saw a lot of my previous crew in June and July when Ohio State came over for Henley Women’s Regatta and HRR which was great. My parents are always going be there, and they have been such pillars of strength throughout my whole life and I know that they are just at the end of the phone. But I can’t see them every day and that makes a big difference. In Ohio I had that support system with all my housemates and my team. The change has been quite a big challenge and will take time. Adjusting to life in Henley has been hard but I have made some great friends in the squad. 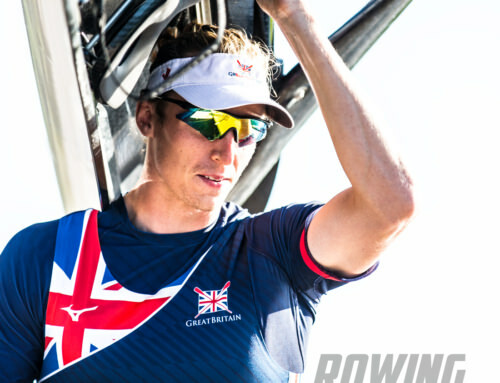 I have started my own web development business which keeps me busy outside of rowing. I think it would probably in a big city. And it’s message would be along the lines of being a woman, and just doing what you want to do and not worrying about whether that’s going to please someone else or what anyone’s gonna think of it. So along the lines of trusting your own instincts about what you want to do and having faith that the people who actually matter in your life will support you for it. Just taking that risk, because I think that’s what I’ve done. I think often women don’t feel brave enough to do what they really want to do or don’t feel like they have the opportunity to realise their dreams. We’re all so concerned with pleasing others even if it’s at the detriment of what we need for ourselves.